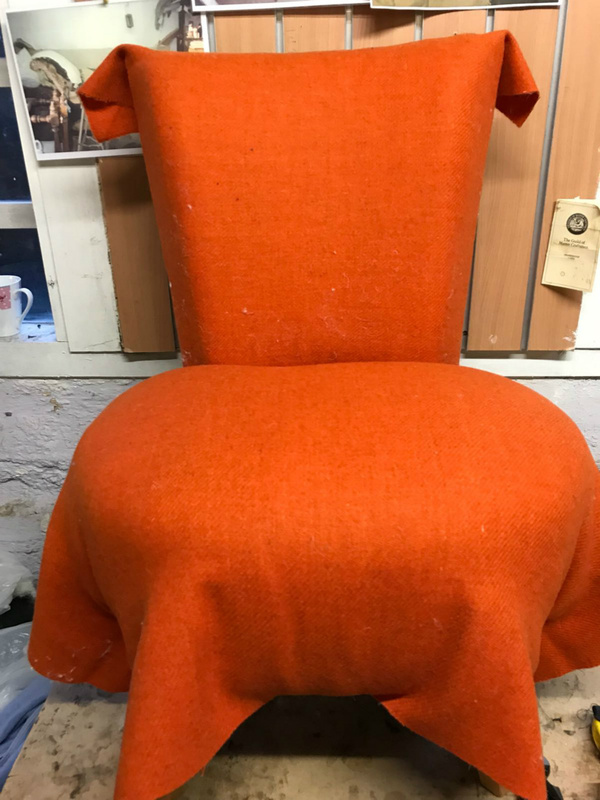 And Upholster provides step by step tutoring on how to restore upholstered furniture to its former glory while gaining skills relating to furniture repair. Andupholsrer's philosophy is to reutilise and upcycle all pieces of furniture. Courses are open to all members of the public irrespective of your current skills and abilities as these will be developed over time. The skills you will aquire are traditional upholstery techniques which enables the participants to move on with ease to modern techniques. 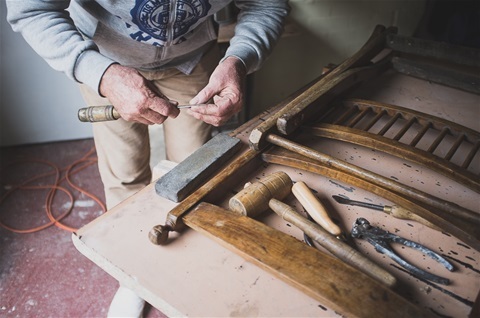 You will learn furniture restoration techniques guided by our qualified tutor, holder of a TDLB D32 and D33 qualification who has more than 40 years experience in this area including 19 years teaching. These run every week of the year. 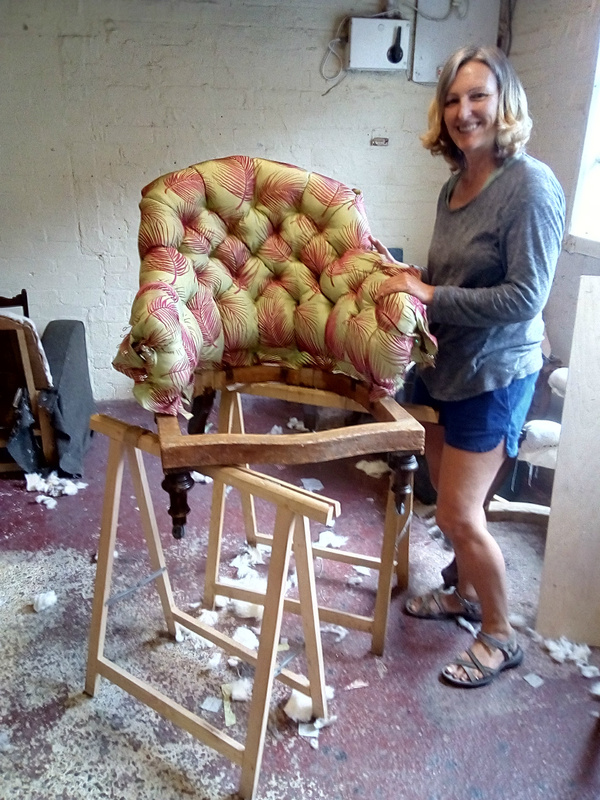 There is a weekend course (of 12 hours) once a month and dates are announced in advance with the next one taking place 22/23 June 2019. From time to time, depending upon demand, a 20 hour course between Monday and Thursday takes place. The next course is taking place 3rd to 6th June 2019. 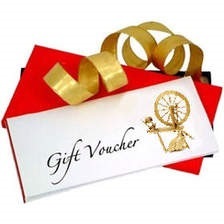 We are now offering gift vouchers which can be redeemed against any of the courses found on our website. These start at £10 but can be purchased for any greater amount. So why not assist someone make their dreams come true by giving them a gift to set them on their way. Vouchers are valid for 12 months from the date of purchase and should be submitted along with an enrollment form clearly indicating which course is to be undertaken. Please send an email via our contact page to request an enrollment form. 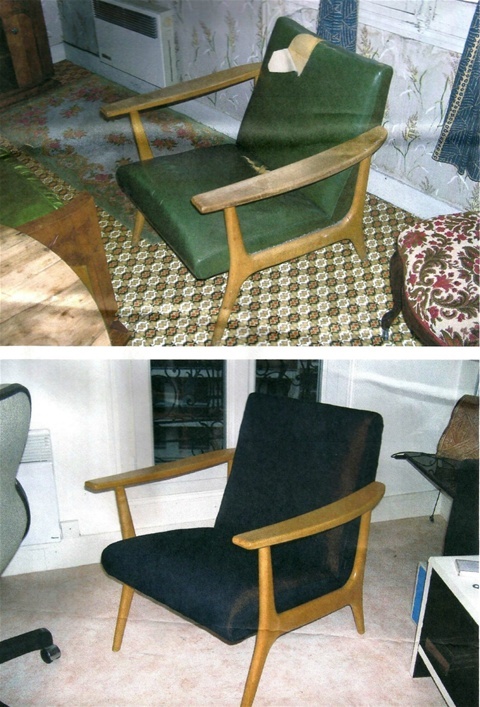 This particpent has reupholstered this pair of 'art deco' armchairs to a very high standard using traditional methods, a complex spring system involving 'individually pocketed springs' and other intricate upholstery techniques have been executed gaining the particpent to be awarded a certificate of competency . there are other photos of this project on the course photo page. The start of a project on our weekend workshop. 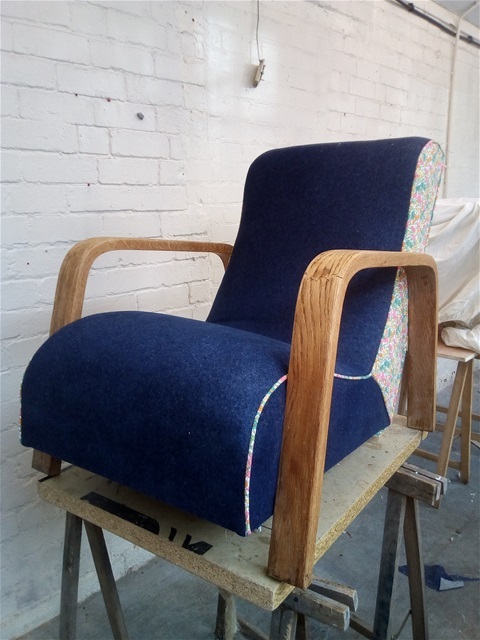 And Upholster also organises specific workshops relating to topical crafts. For example The Big Bed Head Weekend, more dates will be announced in the near future. 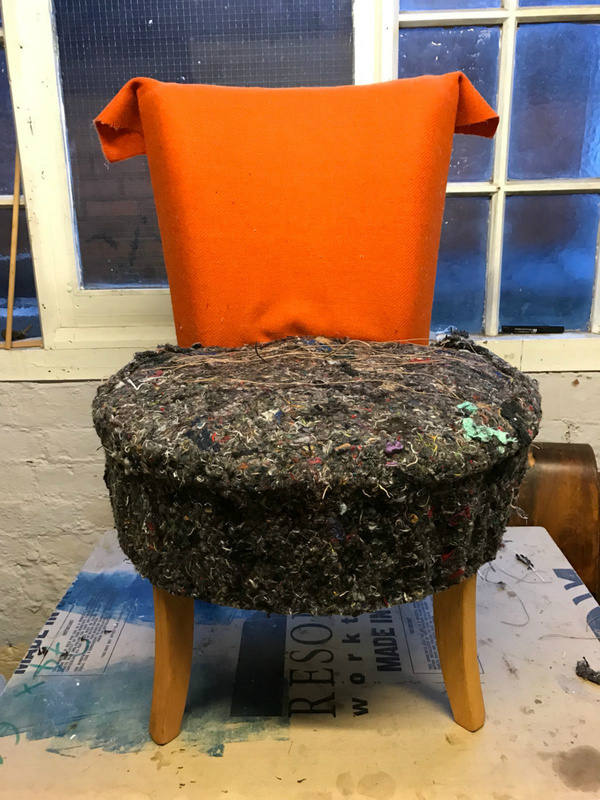 Another of our themed workshops is Lampshade Making and also a Fitted Loose Cover Workshop. We do invite guest tutors on a regular basis who stage sessions in their art to include stained glass, interior design and patchwork. 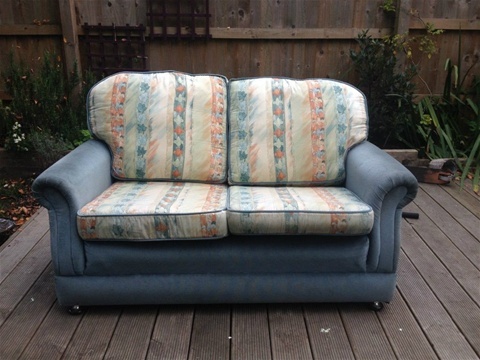 And Upholster has a spciality of recycling throw aways, items which most people would discard. We reinvent the discarded two seater sofa into a luxurious chaise longue. 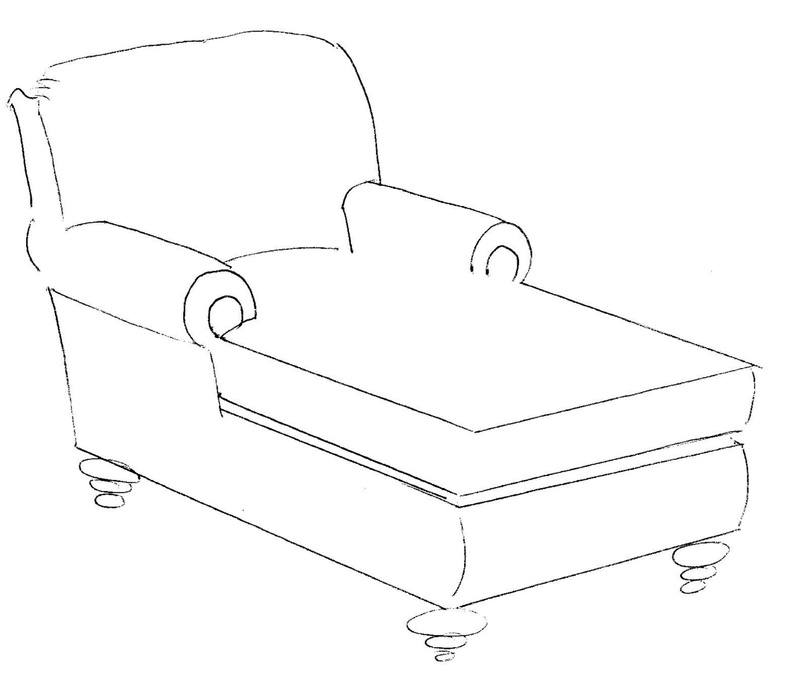 The discarded two seater could be redisigned to look like this impression. 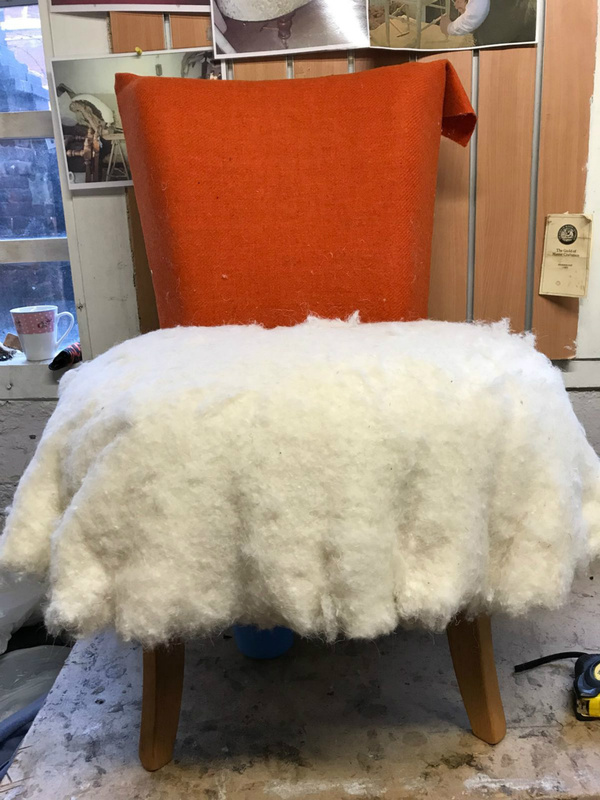 Join us in our workshop and discover modern foam upholstery techniques. 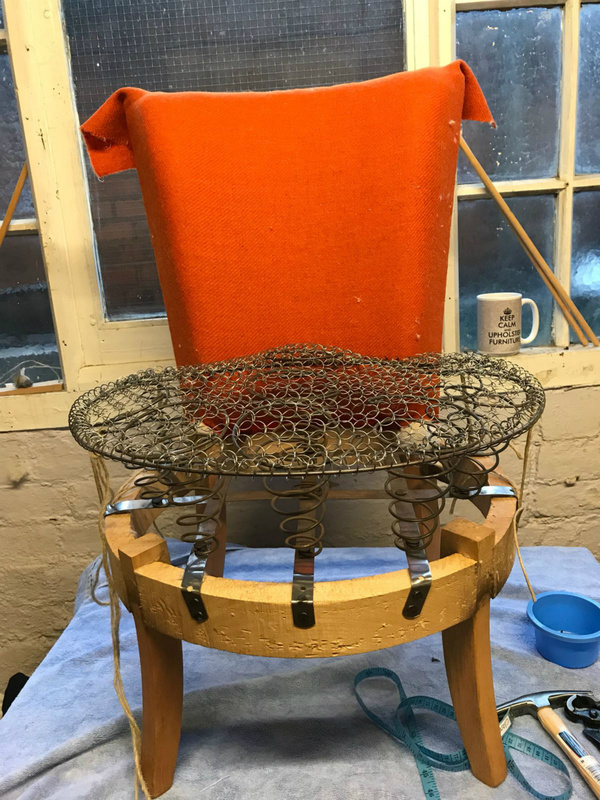 The aim is that at the end of the 12 hour weekend course your project will be finished or well on its way. 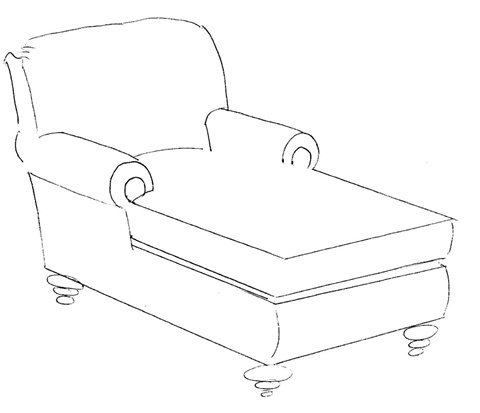 Included in the cost for the weekend is all materials except the foam required for your project. The cost for the course is £200 which includes lunch on both days. Please do not hesitate to call Garry for information and to reserve your space on 07938501186, numbers are limited to 5 participants per course.